That's right! If you want a vacation that will make you smile from ear to ear look no further! 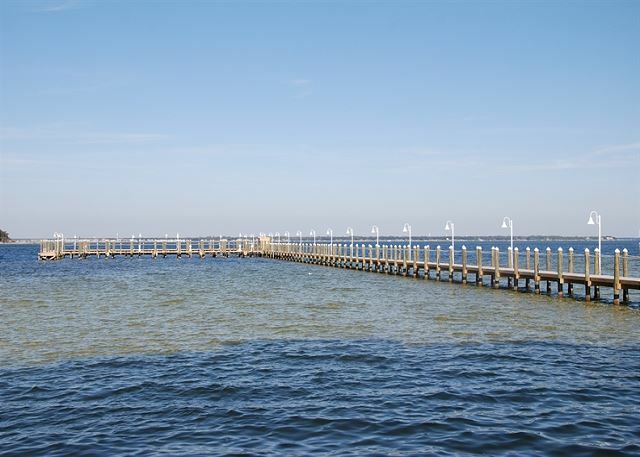 We would love to share our Destin West Florida lifestyle with you and we have all you need right here. 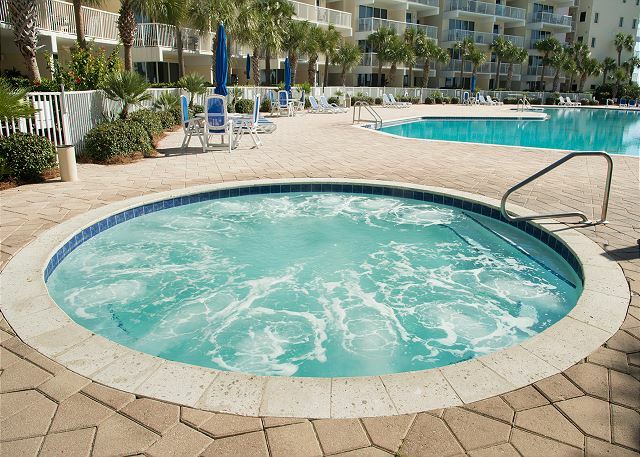 Heron L-07 is located on the first floor of the Heron building bayside at Destin West Bay and Beach Resort where you are just steps away from our 700 ft lazy river. At night the lazy river lights up with a gorgeous array of colorful relaxing lights that you can watch while relaxing in your private hot tub on our 1500 sq ft lanai. 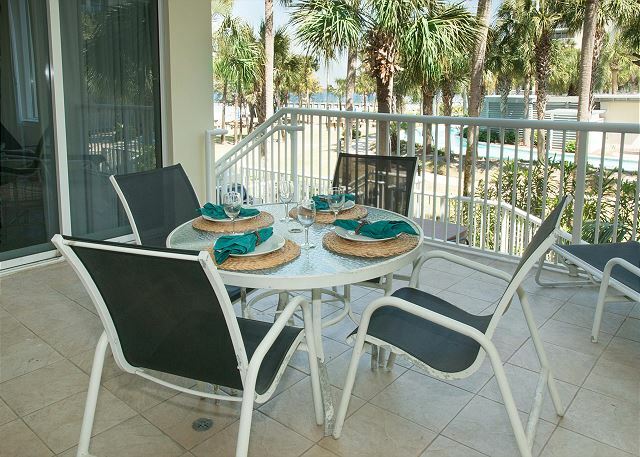 There is also your own private gas grill for you to use on the patio. When decorating this unit we thought of everything you might want or need, and only the best to share with you! The kitchen is has all stainless steal appliances, granite counter tops, and we have supplied it with anything you might need for a gourmet meal to a glass of wine. The living room has a large flat screen TV and a pull out queen sleeper sofa and sleeper love seat. 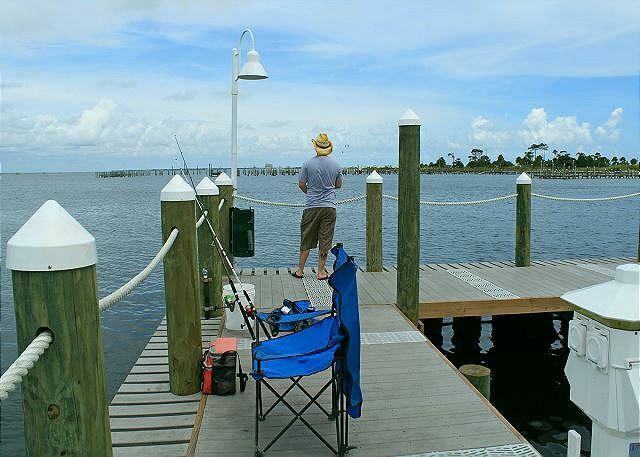 There is plenty of room for you and all your guests to stretch out and enjoy your vacation. The Master bedroom has a king sized bed with top of the line linens and a flat screen TV. There is also a jetted oversized tub in the master bath with a separate shower and dual vanities. You will also find a king sized bed in the second bedroom and a bunk bed with queen on bottom and twin on top. 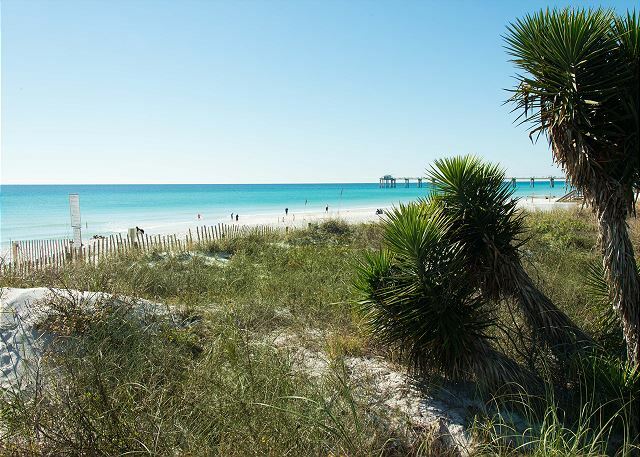 All with top of the line linens, flat screen TV's, and tropical inviting décor that will make you never want to leave! We would LOVE to share our little piece of tropical heaven with you and your family or friends! WANT FAMILY OR FRIENDS NEAR BY? Take a look at VRBO #: 455234, 337227, or 152192 ALL of these units are located in the same building, on the same floor. Most are next to each other or one unit apart. Call us today for a great price on the best vacation you will ever have! We can't wait to see you! We absolutely loved the condo, and the resort. We can't wait to go back! Dear Ms Noe, We can't wait to have you back! Thank you so much for letting us hear from you! We so appreciate the 5 stars! We stayed at the property over Labor Day with another family, and had an absolutely amazing time! 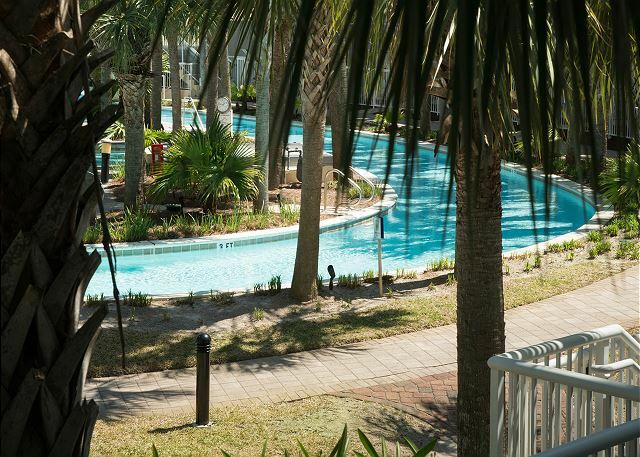 The unit was very clean and spacious, and had a fantastic view of the lazy river, which was very relaxing to gaze out at while we sat on the patio drinking coffee in the morning (and sipping wine at night!). 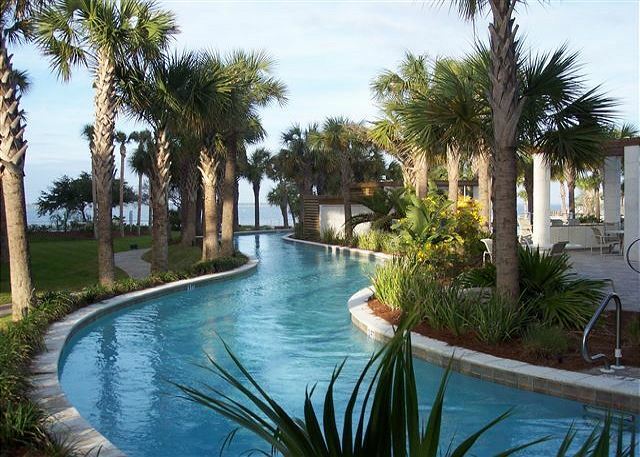 The kids loved the pools and lazy river, and the adults thoroughly loved the easy access to the beach. The beach chairs and wagons in the garage were definitely put to good use. We really appreciated the service we received. We had a small issue with the hot tub and called the property manager; she sent someone over to repair it within the hour. And when I emailed the manager after we got home and I realized that my 5year old daughter left her stuffed animal in the unit, she was sweet enough to mail it back to us. Dear Ms. Leniar, Thank you so much for this amazing review of Heron L-07! 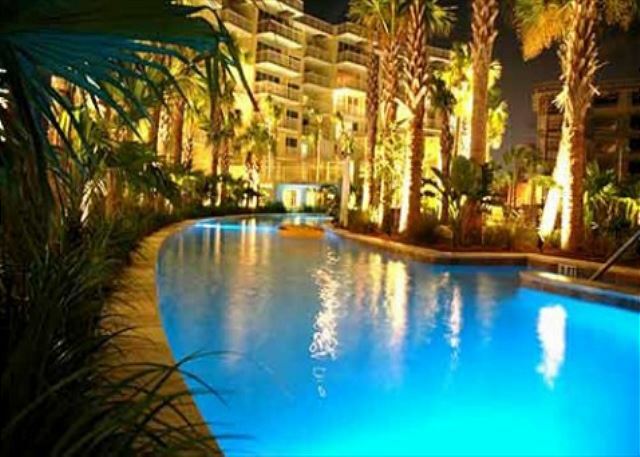 Its one of my personal favorites with its location, views of, and access to the Lazy River. We're so glad you enjoyed it too! We're already counting the days until your next visit! Bring everyone you can, we'll be ready! Clean, Spacious, and Lots to do! 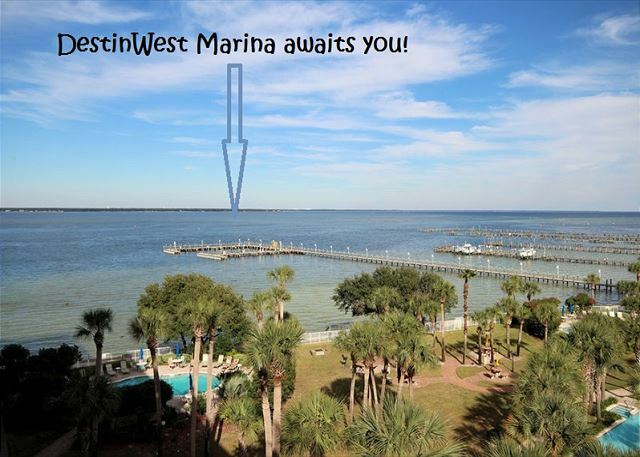 This is our second time staying at Destin West, and we love it! This condo was the perfect size for four adults (parents and grandparents) and three kids aged 5, 3 and 1. It was a very clean unit, and we loved the convenience of being on the lanei level. 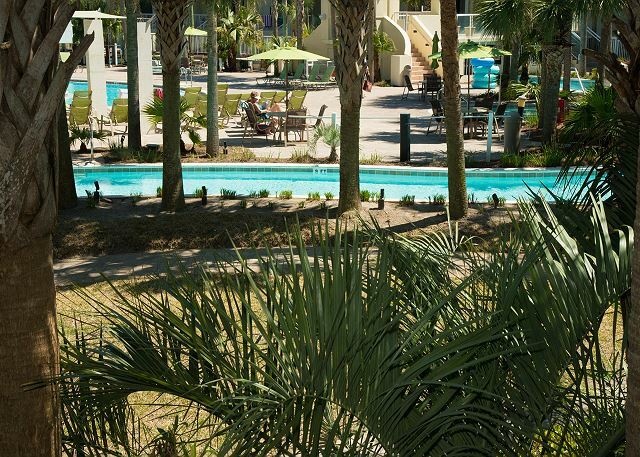 Having access to the lazy river and pool in addition to the multiple pools, the grotto, and splash pad across the street is awesome! There was never a shortage of things to do!!! We had a few tiny little issues that were resolved quickly and our enjoyment of the property was never delayed! Dear Ms. White, Thank you so much for taking the time to leave us this wonderful review! We're so glad to know that your family enjoyed this vacation! We're in this business for the families! We'll be standing by to help you book your next visit! Dear Mr. Cannon, Thank you so much for this wonderful review! We're ready to book your next trip whenever you're ready to come back again! This Lazy River level condo is just steps away with its own private covered deck and patio area, complete with a grill. I would say the accommodations were top notch including the amazing King size bed. Dear Mr. Duggins, We so appreciate this wonderful view! This is a newly redecorated condo and we're so happy you love its refreshed look with its comforts of home! We had a wonderful time and we were really happy about our unit and stay. We would definitely come back. Tons of space, loved the 1st level and property. Close to a ton of stuff. Beautiful! Note the access to the garages (toys, chairs) on the site in advance. The smart tv was not hooked up and the remote was missing - definitely advertise the smart tv once its set up (you should set it up!) and advertise the tvs in each room - my kids loved having their own tv! Because of the high use of the heated pool, I was a little disappointed that the pool was not kept a little cleaner; by the end of the end of the week, the water was a little more cloudy and lots of floating debris. As the week went on too, there were limited seating, but staff brought out more chairs. I think it woudl be nice to note on teh site too -which pool are heated. That makes a big different to travelers. Also, there was no mention of the Ramada pool was under renovation - all thought we would not change our minds on coming, it should be noted. Dear Mr. Quinn, Thank you so much for taking the time to let us know how much you enjoyed your stay with us! Believe it or not, you were the FIRST guests to stay in this unit after our remodel and you'll be happy to know that we took new pictures just after your departure, which are already uploaded for new potential guests. I personally agree with you, this unit is GORGEOUS. Your comments and recommendations are important to us, and allow us to better focus on improvements for future visits. I understand your disappointment over the renovations of the Ramada's pool, but as this is a completely separate business, we were not informed of the remodel either. I'm sorry for the inconvenience. Thank you for recommending us to your friends and loved ones. We're ready to book your next trip whenever you are so please come again soon! The condo was awesome! 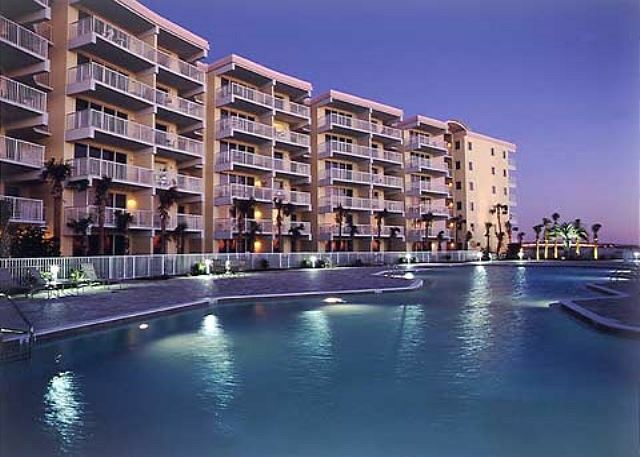 The unit is on the first floor so very easy access to pool and all the amenities. Management was very accommodating and available 24/7. When we go back to FWB this is the only place where we will stay. Dear Mr. Boyd, Thank you so much for taking the time to let us know how much you enjoyed your visit! We really appreciate the positive feedback and will definitely be looking forward to your next trip! We had such a good time in HEron L-07. It was very clean and had plenty of room! Being able to walk off our balcony and out to the pool was awesome! The walk to the beach was not bad at all. 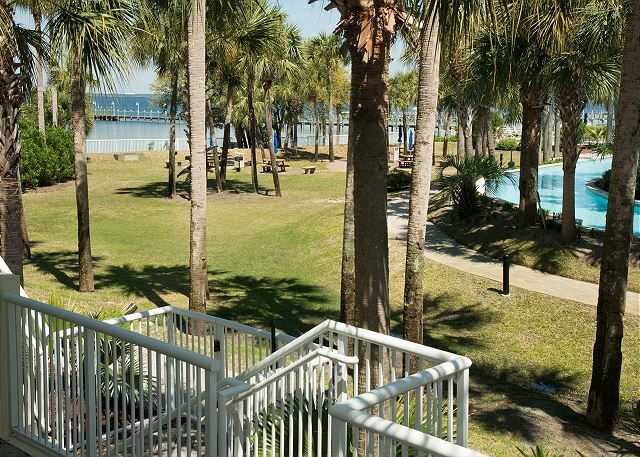 And being able to have use of the facilities on the bay side as well as the beach side, made it way less crowded at both places! We had a maintenance issue and it was taken care of immediately! They were very nice and took care of our every need. We will be using them again! Absolutely Love this place! Can't wait to go back! Great rental management! Great condo! We love staying in this condo! Everything is perfect. You have all the luxuries of home.